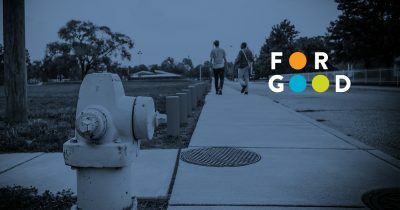 CICF’S “for good,” STORIES ABOUT PASSION, PURPOSE AND PROGRESS IN CENTRAL INDIANA. By 2024, 60 percent of jobs will require some sort of degree or certificate, but Indiana ranks 42nd in the nation for attaining those credentials. This month, “For Good” explores a new program, Marion County Promise—its goal is to increase that number by preparing students as early as kindergarten. Marion County Promise is the first time the statewide initiative, Promise Indiana, is being piloted in an urban setting. If you enjoy this episode, subscribe to “For Good” through your favorite podcast app and leave us a review!